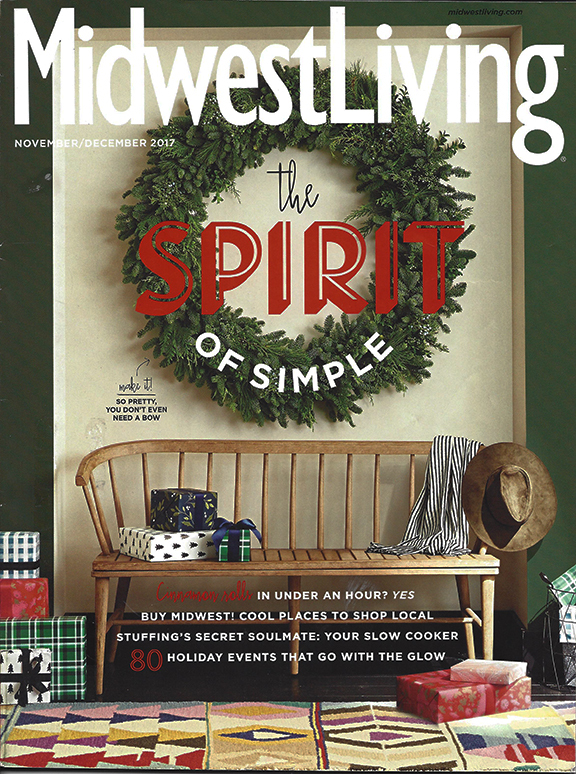 Tourists to the Midwest can find interesting information in Midwest Living magazine six times a year. Fromagination!…in a feature called “40 Fabulous Midwest Stores“. The list of worthy competitors for attractive, engaging places to shop is long, so we are honored to be included in the group. It also features a lot of recipes for holiday meals, a story on fun things to do in Indianapolis for Christmas, another about Chicago’s Renegade Craft Fair, and short takes about a luge track in Muskegon, Michigan and a café in Yellow Springs, Ohio. So far, however, the best and cheesiest place to visit for the holiday season still seems to be Wisconsin.